Archaeology - Archaeological Recording - Barry Hillman-Crouch - Design and Recording Services . Recording Archaeological Sites for Planning Purposes. Discharge of Planning Constraints. 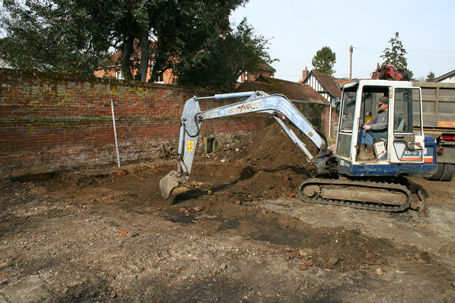 I specialise in small scale excavations and watching briefs such as those for house extensions or other works in sensitive areas. 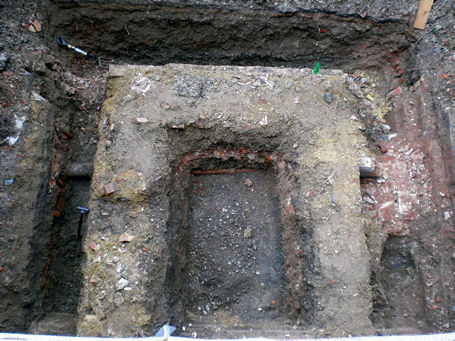 Excavation at Loughton Hall for the base of a lift shaft. I have 25 years experience in most fields of archaeology and the historic built environment having worked on watching briefs, large and small scale excavations, finds, publications, promotion, photography and supervision (of professionals, volunteers and children). I have helped design, set up and run an archaeological field school and a children's dig. 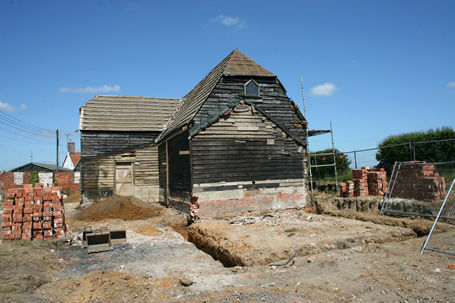 I have made many site surveys and detailed historic buildings surveys. I regularly give advice on excavation techniques to interested amateur groups. Watching brief on a building site in Earls Colne. I have for at least 20 years worked at a professional level in illustration and publication, academic, popular and commercial including publishing on the web. I regularly carry out desk-top research projects for historic buildings or archaeological sites. I have a Master of Studies in Professional Archaeology (2004) and a Post-Graduate Diploma in Field Archaeology (2002) both from Oxford University and an HND in Archaeological Illustration (1989) from Swindon College of Art. I also have an Honours degree in Aeronautical Engineering (1984) from Kingston Polytechnic. Watching brief on a barn conversion in Ardleigh. Please contact me to discuss your archaeological brief. I am unable to handle larger excavations but may be able to contribute towards elements of the work. Click for a list of recent projects.